The best companies will be prepared to offer you a list of previous clients who you are able to speak to personally and who may have previously had the type of surgery you’re thinking about before you are committed to anything. 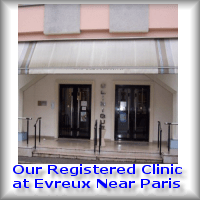 Plastic Surgeon France policy is to ensure that each client has the opportunity to communicate with past patients to show that they will be getting the best possible service. When you’ve spoken to a past patient and are pleased with exactly what they had to say then you should feel confident enough to reserve your own surgery with one of the businesses Managers. Your coordinator will probably be able to work with you to your options of possible dates to make sure you book time off work and make other personal arrangements to result in the least disruption to your regular routines. 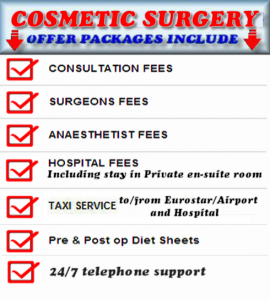 The reasons you will be asked to pay well in advance is that arrangements need to be made far ahead of time to book the operating theatre, to reserve the consultation with the Surgeon and the anaesthetists might be all extremely busy people who have to work around hectic surgery schedules. You have to also take in to account that what you are booking is in fact a complete package including many elements which all need pre-booking which entail lots of work for the Coordinations staff to put together, and all of these have a cost in time spent putting your package together to be certain everything runs smoothly for you. A non-surgical and reversible device for people with Type 2 diabetes and obesity. A non-surgical and reversible device for people with Type 2 diabetes and obesity is safe, effective and should be rolled out across the National Health Service (NHS), researchers say. The device — Endobarrier — is a reversible treatment that provides people with an alternative to drastic gastric bypass surgery. It prevents food from coming into contact with the first part of the small intestine, but without painful invasive surgery. Endobarrier consists of a 60-cm-long tube-like liner or sleeve that coats the inside of the small intestine, allowing food to pass through but not to be absorbed, which can be removed after a year. The procedure aims to kick-start a change in lifestyle and help people achieve better health, improve diabetes control as well as promote weight loss, the researchers said. The device, Endobarrier, is a reversible treatment that provides people with an alternative to drastic gastric bypass surgery. It prevents food from coming into contact with the first part of the small intestine, but without painful invasive surgery. Endobarrier consists of a 60-cm-long tube-like liner or sleeve that coats the inside of the small intestine, allowing food to pass through but not to be absorbed, which can be removed after a year. Now you can treat your Type 2 diabetes and obesity with a device based medical treatment which is highly safe and serves the purpose of a total cure says a study. The treatment prevents food from coming into contact with the first part of the small intestine through a surgery. Participants reported considerable improvements in well-being, energy, and the ability to exercise, with around 94 per cent saying that they would recommend the service to their friends and family. For the study, presented at 2017 European Association for the Study of Diabetes (EASD) Annual Meeting in Portugal, the team investigated whether this new therapy could be translated into major clinical success by creating a small NHS Endobarrier service for people having difficulties managing their Type 2 diabetes and obesity. We reveal which are the best foods to help with weight loss?? People should buy nutrient-dense foods if they are trying to lose weight. Foods that provide protein and fiber could be especially helpful for weight management. One study found that some foods — including fruits, vegetables, nuts, whole grains, and yogurt — were connected with weight loss. In the same study, potato chips, sugary beverages, red meats, and processed meats were associated with weight gain. Based on these findings, it may be best to limit fried foods, foods with added sugar, high-fat meats, and processed foods when trying to shift the pounds. Though the right foods may help, physical activity is essential for losing weight and keeping the pounds off. It is important to check with a doctor before starting any physical activity program. Eggs are a popular food, particularly for breakfasts, that may help promote weight loss. In a small study of 21 men, researchers compared the effects of eating eggs or eating a bagel for breakfast on food intake, hunger, and satisfaction. They also looked at levels of blood sugar, insulin, and ghrelin, which is also known as the hunger hormone. They found that men who had eaten the egg breakfast ate significantly less at their next meal, and in the following 24 hours, than those who had eaten the bagel breakfast. Those who had eaten the eggs also reported feeling less hungry and more satisfied 3 hours after breakfast than those who had eaten the bagel. After breakfast, the egg group also had less of a change in their blood sugar and insulin levels, as well as lower ghrelin levels than the bagel group. Starting the day with a bowl of oatmeal could also result in a lower number on the scales. A study involving 47 adults looked at differences in appetite, fullness, and next meal intake after participants ate oatmeal, as opposed to an oat-based ready-to-eat breakfast cereal. After eating oatmeal, participants felt significantly fuller and less hungry than after eating the cereal. Also, their calorie intake at lunch was lower after eating oatmeal than after eating breakfast cereal. While both breakfasts contained the same amount of calories, the oatmeal provided more protein, more fiber, and less sugar than the cereal. The authors concluded that the difference in fiber, specifically a type of soluble fiber called beta-glucan, was probably responsible for the results. As a group, beans, chickpeas, lentils, and peas are known as pulses. They may influence weight loss due to their effect on fullness, as well as their protein and fiber content. Similarly to oatmeal, pulses contain soluble fiber that may slow down digestion and absorption. Eating protein leads to the release of hormones that signal fullness. Researchers analyzed studies that had looked at the effect of the consumption of pulses on weight loss. Weight loss diets that included pulses resulted in significantly greater weight loss than those that did not. Weight maintenance diets that included pulses also resulted in weight loss compared with those that did not. A study involving overweight and obese women compared a weight loss diet supplemented with 50 grams (g) of almonds a day with a weight loss diet that did not include nuts. After 3 months, women in the almond group lost significantly more weight than women in the nut-free group. Women in the almond group also had much greater reductions in their waist size, body mass index (BMI), total cholesterol, triglycerides, and blood sugar. Nuts contain protein and fiber, which may help explain their influence on body weight. They also contain heart-healthy fats and other beneficial nutrients. While nuts can be included as part of a healthful diet, moderation is still essential since they are an energy-dense food. Weight regain is often a concern for individuals after they have lost weight. In a large study in Europe, researchers found that people who consumed the most nuts gained less weight during a 5-year period than people who did not eat nuts. They also had less risk of becoming overweight or obese. Avocados are a fruit that provides fiber and beneficial fats, as well as many other nutrients. They may also help promote weight management. A study of American adults found that people who consumed avocado weighed significantly less and had a lower BMI than those who did not. People who ate avocado tended to eat more fruits, vegetables, and fiber than people who did not, as well. The people who ate avocado had an overall healthier diet and consumed significantly less added sugar than those who did not. Similarly, their risk for metabolic syndrome was lower than for those who did not consume avocado. Fiber has been linked with weight management, and berries tend to be some of the highest-fiber fruits. One cup of raspberries or blackberries provides 8 g of fiber. Berries can be added to many foods, such as oatmeal, yogurt, or salads. Cruciferous vegetables, including broccoli, cauliflower, cabbage, and Brussels sprouts also contain fiber that may be helpful for weight loss. One cup of cooked Brussels sprouts provides 6 g of fiber, which is 24 percent of the daily value for fiber. There are many other foods that are considered to be highly healthful outside of trying to lose weight. Learn about some more of them with this article. Instead of fried foods, people should choose foods that have been baked, broiled, or grilled. Lean proteins, including beans, chicken, eggs, fish, and turkey are good alternatives to high-fat meats. When choosing foods for weight loss, it is also important to be mindful of portion sizes, even for healthful foods. Sugar-sweetened beverages can provide a significant amount of calories but do not result in the same sense of fullness as solid foods. Choose calorie-free beverages instead of juice and soda, such as water or unsweetened tea. Hunger is an important, natural reminder for people to keep their bodies fueled. But often, an appetite can come back even when we have eaten enough. High appetites can be caused by the kinds of food we eat, the way we eat them, and diet plans that leave a person feeling hungry, among other reasons. Weight loss pills make big claims about suppressing appetite but their effectiveness is uncertain, and they often come with dangerous side effects. The following techniques are natural, risk-free methods to suppress appetite. They can be put into action to tackle hunger cravings in a healthful way. Natural ways to suppress appetite There is a range of things a person can due to reduce their appetite, including: 1. Eating more protein or fat high protein food Eating foods rich in protein or fat may help reduce hunger cravings. Not all foods satisfy hunger equally. Protein and fats are better than carbohydrates at reducing hunger, especially those high in sugar. Studies consistently show that protein and fats are essential for satisfying hunger and keeping people full for longer. Protein-rich foods recommended by the Dietary Guidelines for Americans include: lean meats eggs beans and peas nuts soy products Greek yogurt Foods that are good sources of fats include: nuts seeds avocado olive oil cheese coconut grass-fed butter eggs 2. Choosing high-fiber foods Fiber does not break down like other foods, so it stays in the body for longer. This slows down digestion and keeps people feeling full throughout the day. Research suggests that fiber can be an effective appetite suppressant. High-fiber diets are also associated with lower obesity rates. On the other hand, another review found that introducing extra fiber into the diet was effective in less than half of the studies they looked at. More research is needed to identify which sources of fiber are the most effective for suppressing appetite. High-fiber foods include: whole grains beans and pulses fruits, including apples and avocados almonds chia seeds vegetables 3. Drinking more fluids Drinking a large glass of water directly before eating has been found to make a person feel fuller, more satisfied, and less hungry after the meal. Another study, which looked at appetite in 50 overweight females, showed that drinking 1.5 liters of water a day for 8 weeks caused a reduction in appetite and weight, and also led to greater fat loss. A soup starter may also quench the appetite. Research from 2007 showed that people reported feeling fuller immediately after the meal if they had a liquid starter. 4. Eating large volumes of the right foods Reducing general food intake while dieting can leave people with a ravenous appetite. This can cause a relapse into binge eating. Dieting does not have to mean going hungry. Some foods are high in nutrients and energy, but low in calories. These include vegetables, fruits, beans, and whole grains. Eating a large volume of these foods will stop the stomach from growling and still allow a calorie deficit. 5. Practicing mindful eating The brain is a major player in deciding what and when a person eats. If a person pays attention to the food they are eating instead of watching TV during a meal, they may consume less. Research published in the journal Appetite found that eating a huge meal in the dark led people to consume 36 percent more. 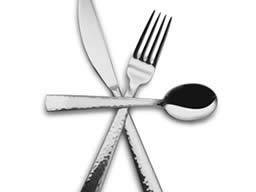 Paying attention to food during meals can help a person reduce overeating. Another article showed that mindfulness might reduce binge eating and comfort eating, which are two significant factors that influence obesity. The National Institute of Health recommend using mind and body-based techniques, such as meditation and yoga, to curb appetite. 6. Exercising Exercise is another healthy and effective appetite suppressant. A review based on 20 different studies found that appetite hormones are suppressed immediately after exercise, especially high-intensity workouts. They found lower levels of ghrelin in the body, a hormone that makes us hungry, and higher levels of “fullness hormones” such as PPY and GLP-1. 7. Reducing stress Comfort eating due to stress, anger, or sadness is different from physical hunger. Research has linked stress with an increased desire to eat, binge eating, and eating non-nutritious food. Mindfulness practices and mindful eating may reduce stress-related binge eating and comfort eating, according to one review. Regular sleep, social contact, and time spent relaxing can also help tackle stress. Foods that minimize appetite honey Switching from sugar to honey may help suppress appetite. Protein-rich foods and healthful fats are best for reducing appetite. These include lean meats, avocado, beans, nuts, and cheese. High-fiber foods keep a person feeling fuller for longer. Good examples are whole grains, beans, fruits, and vegetables. Pulses, such as beans, lentils, and chickpeas, can directly increase feelings of fullness and may also reduce food intake later, according to a 2017 review. Dark chocolate suppresses appetite compared to milk chocolate. One study showed that people ate less during their next meal after snacking on dark instead of milk chocolate. Eggs are high in protein and fat and may promote feelings of fullness and reduce hunger through the day. Ginger has been shown to reduce appetite and increase fullness, possibly because of its stimulating effect on the digestive system. Cayenne pepper may reduce appetite in people who are not used to spicy foods. Honey may suppress the hunger hormone ghrelin, making people feel fuller for longer. People should try switching from sugar to honey. Tea. Research shows a tea called Yerba Maté can reduce appetite and improve mood when combined with high-intensity exercise. Ginger: Health benefits and dietary tips Ginger: Health benefits and dietary tips Research suggests that ginger could help to reduce appetite. Learn more about the health benefits of this food and its nutritional content here. Read now Takeaway Restricting food consumption too much can lead to a relapse of overeating. Instead, eating a good amount of the right foods can reduce hunger and food cravings throughout the day. A person can suppress their appetite by including more protein, fat, and fiber in their meals. Stocking up on vegetables and pulses can make a person feel fuller for longer. It might also help to try different spices, such as ginger and cayenne pepper, and drink tea to beat unwanted food cravings. (a,b,e) Data is displayed as box/whisker plots where the center line represents the median, box limits contain the 25th–75th percentiles, and whiskers span max/min values. (a) Gene expression measured by qPCR in murine subcutaneous (SAT), perigonadal visceral (VAT), and pericardial (PAT) adipose tissues (n=6 mice). Statistical significance was assessed using ANOVA and Sidak’s correction for multiple comparisons. (b) Gene expression measured by qPCR in murine adipose tissues after 8 weeks of high fat feeding compared to normal chow fed controls (n=5 mice per group). Statistical significance was assigned using a two-sided T-test. (c) Gene expression measured by qPCR in cultured adipocyte progenitors isolated from the subcutaneous (SAT) or perigonadal visceral (VAT) depots (n=4 replicates). Cells were expanded to confluence and then collected at intervals after induction of adipogenic differentiation. Data displayed as mean, error bar=s.e.m. Statistical significance was assessed using ANOVA and Sidak’s correction for multiple comparisons to time 0. (d) Oil-red-o staining of progenitors isolated from subcutaneous adipose and exposed to retroviral delivery of shRNA constructs during ex vivo expansion and induction of adipogenesis. Relative to control vector carrying a scramble sequence, shRNA constructs specific for Atxn1 and Ube2e2 impaired adipogenic differentiation. Scale=1mm. (e) Oil-red-o stain was alcohol extracted and quantified at OD520 (n=9 technical replicates). Statistical significance was assessed using ANOVA and Sidak’s correction for multiple comparisons to control (Scramble). Data representative of 3 independent experiments. Trouble losing weight? This might be why ! Researchers found that the fat cells of people who are obese show higher expression of a molecule called lysyl oxidase (LOX). LOX is associated with fibrosis, or “scarring,” of fat tissue, which, as previous research has shown, can hamper weight loss efforts. Study co-author Dr. Katarina Kos, who works in the Diabetes and Obesity Research Group at the University of Exeter Medical School in the United Kingdom, and colleagues recently reported their findings in the journal Metabolism. It is thought that around 1 in 3 adults in the United States are obese, which puts them at increased risk of type 2 diabetes, stroke, heart disease, and some forms of cancer. A lack of exercise and a poor diet are the primary causes of obesity, so it’s no surprise that eating a healthful diet and increasing physical activity are the first strategies we try in an attempt to shed the pounds. But these interventions can produce mixed results: some individuals see the pounds fall off, while others find it much more challenging. The new study may have uncovered one explanation for the latter. Read more……>click Here< gastric band france options are, gastric sleeve surgery in france, gastric sleeve cost europe, and you can compare the cheapest gastric band surgery in the world with gastric bypass france where you only need a bmi calculator of 30 to qualify for weight loss surgery in France. Water weight, also called edema, is very common and rarely a cause for concern. However, it may feel uncomfortable and can cause unwanted bloating or puffiness in the body. This article outlines simple, healthy lifestyle tips for tackling water weight. Fast facts on water weight: Water normally makes up 50 to 60 percent of an adult’s total body weight. Any extra water being held in the body is referred to as “water weight.” When water builds up in the body, it can cause bloating and puffiness, especially in the abdomen, legs, and arms. Water levels can make a person’s weight fluctuate by as much as 2 to 4 pounds in a single day. Severe water retention can be a symptom of heart or kidney disease. More often, it is temporary and goes away on its own or with some simple lifestyle changes. There are a variety of ways a person can lose water weight quickly and naturally. We look at the most effective techniques: 1. Reduce sodium (salt) intake bottle of water with measuring tape Water weight may feel uncomfortable and cause bloating or puffiness in the body. An easy first step for beating water weight is to replace sodium-rich foods with low-sodium equivalents. Too much sodium, or salt, can cause immediate water retention. This is because the body needs to keep its sodium-to-water ratio balanced to function properly, so will hold on to water if too much salt is consumed. The latest Dietary Guidelines for Americans recommend no more than 2,300 milligrams (mg) of sodium per day. An average American will eat over 3,400 mg every day. Table salt is very high in sodium, but 75 percent of the sodium people consume is hidden in processed foods. These include cheese, cold meats, bread, frozen meals, soup mixes, and savory snacks. Natural foods, such as vegetables, nuts, and seeds, are very low in sodium. Some foods can even reduce sodium levels, including bananas, avocados, and leafy vegetables. 2. Drink more water While counterintuitive, drinking water can actually reduce water weight. Dehydration can make the body hold on to extra water to make up for lack of incoming water. Water also improves kidney function, allowing excess water and sodium to be flushed out of the system. Adults should drink around 2 liters of water a day. Replacing sugary drinks with pure water is a great way to keep up with the body’s daily water needs. Carbohydrates, or carbs, also cause the body to store extra water. When we eat carbs, the energy that we do not use right away is stored as glycogen molecules. Each gram (g) of glycogen comes with 3 g of water attached. Cutting down on carbs is a quick way to use up the glycogen stores, which means that the water weight will also be reduced. According to the Institute of Medicine’s Food and Nutrition Board, adults need at least 130 g of carbohydrates to function each day, but the average American diet includes much more than this. Common carbs include bread, rice, and pasta. Replacing some daily sources of carbs with high-protein foods, such as lean meats, eggs, and soy products, can reduce the buildup of water weight. Vitamin B-6 and magnesium oxide can be effective natural remedies for fluid retention. These supplements work with the kidneys to help the body flush extra water and sodium from the system. Studies show that these two supplements are very effective at relieving the symptoms of premenstrual syndrome or PMS, including water retention. They can also reduce abdominal bloating, swelling in the legs, and breast tenderness. It is best for someone to talk to a doctor before taking new supplements, as they can have side effects or interactions with other medications. Exercise lets the body sweat out extra water. This causes water weight to drop immediately after exercise. A workout also stimulates blood flow and improves circulation, which can reduce fluid buildup throughout the body, especially in the legs and feet. Exercise reduces water weight even more by burning through glycogen energy stores. However, replacing lost fluids is vital after any physical activity to avoid dehydration. Water pills can treat mild fluid retention, as prescribed by a doctor. These pills work as diuretics, meaning they make a person urinate more often. Urination lets the body get rid of excess water and sodium. Water pills are not recommended for long-term use. They should always be used as instructed by a doctor to avoid dehydration or mineral deficits. In the largest study of its kind, an international group of researchers found that genetics, birth defects, and ethnicity may play important roles in the occurrence of pancreatitis in children. Pancreatitis, or inflammation of the pancreas, is accompanied by abdominal pain, nausea, vomiting, and, in severe cases, permanent tissue damage. Pancreatitis can be acute (occurring suddenly and usually self-resolving after a few days) or chronic (long-lasting). In some cases, recurring acute episodes can lead to the more debilitating chronic form of the disease. While both forms of pancreatitis are more common in adults, they can also develop in children. However, researchers have struggled to identify the factors that put young people at risk for pancreatitis, partly because the most common risk factors for adults—gallstones and heavy alcohol use—are rare in children. The multinational INSPPIRE (International Study Group of Pediatric Pancreatitis: In Search for a Cure) consortium was established to investigate the risk factors and outcomes of pediatric pancreatitis. The consortium, which has enrolled the largest cohort of pediatric pancreatitis patients to date, collected genetic, demographic, and clinical data from 301 children (girls and boys aged 19 and under) with acute recurrent or chronic forms of pancreatitis. The most common risk factor for pancreatitis in children was at least one mutation in any of four genes that are known to be associated with pancreatitis—CFTR, PRSS1, SPINK1, and CTRC. Mutations in PRSS1 and SPINK1 were more common in children with chronic pancreatitis than in children with acute recurrent pancreatitis, which means that mutations in these genes may increase the risk of transitioning from acute to chronic pancreatitis. Another risk factor found was obstruction of the pancreatic duct, most frequently by a relatively common birth defect known as pancreas divisum, in which the pancreas is drained by two smaller ducts instead of a single one. Other risk factors for pancreatitis that were identified were toxic or metabolic factors and autoimmune diseases, but they were not as common as genetic or obstructive factors. Many of the children in the study were found to have multiple risk factors for pancreatitis, suggesting that the disease may result from a complex interplay among more than one factor. The researchers also found that non-Hispanic children were more likely than Hispanic children to develop chronic pancreatitis. In addition to identifying risk factors, the INSPPIRE researchers also examined the burden of disease in children with pancreatitis. They found that children with both forms of pancreatitis endured significant abdominal pain, along with a number of emergency room visits and hospitalizations. Children with chronic pancreatitis had a higher number of emergency room visits and hospitalization than children with recurrent acute episodes, underscoring the need to diagnose and treat pancreatitis early to avoid progression of the disease to the chronic form. Additional research is needed to tease out how these factors drive pancreatitis development and progression in children. However, overall, the results in this study suggest that there are potential ways to screen for increased risk of pancreatitis in children, such as genetic testing, possibly providing the opportunity for early intervention before the disease develops or becomes chronic. The potential results of how Sitting down can build fat around your organs, according to a new study. Besides the ever-so-annoying belly fat, there’s also a much more “invisible” — but just as harmful — kind of fat: one that sits around our internal organs. What causes this, and is it possible to get rid of it? A new study has some answers. Too much sitting down can build ‘invisible’ fat, says new study. For one thing, we need get off our tushies, and pronto! Sedentary time correlates directly with how much fat we build around our organs, according to the new study, which was published in the journal Obesity. For another, we need to exercise. The research shows that sitting has an even more harmful effect for those who don’t work out enough. You might be tempted to think, “Thank you, Captain Obvious,” but actually, few people are aware of the importance of body fat distribution and the fact that the fat around our organs puts us at serious risk of chronic illness. The new study was led by Dr. Joe Henson, research associate at the University of Leicester in the United Kingdom, who comments on the importance of the study, saying, “We know that spending long periods of time sedentary is unhealthy and a risk factor for chronic illnesses, such as type 2 diabetes and heart disease.” “Likewise, the amount of fat deposited around our internal organs may also predispose us to these diseases,” Dr. Henson says, and he’s not the only one. In a previous study we reported on, visceral fat inside the abdominal cavity was shown to raise the risk of heart disease.